Breezemount Storage has been providing storage for over 40 years, We have expanded into self storage with indoors units from 120 sqft to 520 sqft. Also available are 20ft and 40ft steel containers. 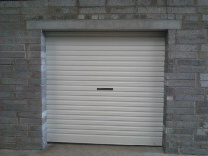 All storage units are suitable for both domestic and commerial uses. We have the best prices around particulary being so close to Belfast. If you have a storage problem, sometimes self-storage is the only solution that makes sense. Self Storage Northern Ireland offer self-storage solutions with containers of all sizes, and a practical approach to your self-storage issue. Get in touch with us today to find out how we can help organise your life even better. We also offer access seven days a week to your self-storage unit. This is especially important if you're storing goods and equipment that is important to you during your house move, for example. Sometimes it’s practical to have seven days access. We can ensure that you can get access to your valuables and other items quickly and easily any day of the week, which is the ultimate in practicality when it comes to self-storage. Our storage area allows plenty of access for lorries too. Some self-storage container unit areas are cramped and difficult to get to. That’s not the case with our units. Your lorries can access, and load or pick up at any time of the day. We also offer a professional and exclusive forklift truck service. This means that if you have any issues with heavy weights or impractical items, we can use a forklift to help gain access to items and also help you transport them. 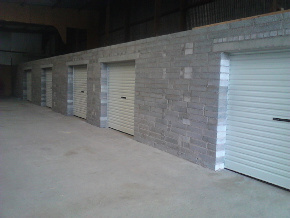 As part of our service offering, we also offer racking space. This allows for even more practical storage, especially if you have many items or some small items. Racking space allows storage possibilities within your unit, even if it is a smaller unit. We can also give you plastic storage boxes, specially made to be durable and resilient to stress and resistance. These are perfect and practical for those smaller items or items that you just want to pack in bulk. We can bring you 40 foot steel containers for those particularly bulky items or large item storage. This is part of what we offer in the area. Because we are close to Belfast, this means that routes and travel isn't an issue. Give our customer service team a call today and you will see why we are the friendliest and most approachable self-storage suppliers in the area. Our team are waiting for your call, and can answer any questions you may have. For the best and most practical self-storage solutions, Self Storage Northern Ireland are the team to help you. 7 day access and good rates suited me best. 7 day access means I come and go when I please. Staff really nice to. Well worth calling these guys if looking for Self Storage Northern Ireland. We have used a few local self storage providers but in my opinion The Breezemount Storage Ltd are the best around for Self Storage Northern Ireland. They always deliver great quality customer service and low prices.